I nolonger give too much regard to the lack of comments on this blog. Someone is reading this blog because the Google stats seem to indicate the current page openings to be around 27,000 per month worldwide. Nobody invites me to speak in my own country and has never done so in the ten years this blog has been running. Nor did they ask me to share in the twenty years before that aftr leaving Emsworth Church in 1988. Yet nobody could have guessed how many of us have found each other here online. If I had waited for people contact before seeking God for the ways ahead I would never be where I am now, nor then, would I have met up with so many that think and believe likewise. So no, I cannot wait for others to catch up first before deciding to state what I believe God is saying. Tonight another little confirmation came when the UK chef Jamie Oliver began to cover the very important agricultural phenomenon of aquaponics and hydroponics. I wrote about how important this was a few months ago. I can only sow the ideas of what I am seeing in our way ahead. Like Patrick Dixon, in this respect I am a futurist. It is the way I function. Yesterday I covered a vital basic, the question of bread, and how we should now be thinking about it. Today is even more basic still, since it is the precursor to having any food at all. The pollination of bees. It is my contention that Monsanto and other groups are quite deliberately trying to wipe out bees so we will be increasingly dependent on BUYING our seeds through these commercial sources. How can I think like this? The chief banking dynasty in the world are Rothschilds and in 1850 they stepped down from their high position of banking to begin entering their first TRADE BUSINESS. So what do you think Paris Rothschild would choose as their very first business? What substance is the most vital to us as humans, and consequently would most bring us under their control the fastest? WATER. So the very beginnings of the current megacorporation known as Veolia was born. If the very first business Rothschild dynasty can think of entering is water, do you have any doubts that 170 years on they can very deliberately and consciously organise a chemical war against bees? The same man who pioneered the devastating fertiliser chemicals DDT became no less than the President of the EU, so no, I may be proved wrong, but I wouldnt put anything past these planners of international control mechanisms. This is massive news! This year could see a crackdown on toxic bee-killing pesticides in Europe, Canada and the United States. But it won’t happen unless we go all out. Neonicotinoids have turned our farms into bee-killing fields. Billions are dying globally, and without them our crops won’t be pollinated. Our whole food chain is under threat! Launch massive public campaigns with political champions to win the bans. We’ve funded key scientific studies. We have the world’s largest petition for bees -- 4.4 million strong. And our global campaign helped win a moratorium in Europe and turn blockers like Britain to support the ban. But it still isn’t enough. Chemical companies fund political campaigns, lean on officials, and muddy reporting on the science. In the US, the Environmental Protection Agency is being gutted by Trump’s new administrator. And in Europe the German Agriculture Minister, renowned for his close ties with Bayer and Syngenta, just delayed the vote. Bees are vital to life on earth -- they pollinate one in three of our bites to eat! And even studies run by pesticide companies confirm the scale of the crisis! It’s crazy that we need to pull out all the stops to fight to get these toxins banned. But this is exactly the kind of battle our movement was made for. 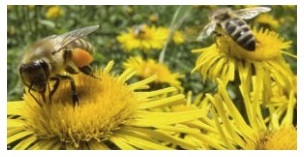 The real experts -- the beekeepers and scientists -- want these deadly pesticides banned. Let’s amplify their voices, show massive public support for a ban, and stop the poison profiteers killing off a beautiful species we depend on to survive.